We began our two-week trip to Israel in Galilee and our visit to the Taghba was on the first day. The trip ended with three days in Jerusalem. We were most fortunate that our hotel in Jerusalem was in the old city so we walked everywhere. Since my return people have asked me various questions, such as "What was your favorite site? ", "How secure did you feel? ", "Did you visit Nazareth? ", etc. Today someone asked me, "What was the most significant event of the trip?" It is a difficult question to answer because several events were significant for different reasons. As time goes by and I continue to reflect on the trip I have to say that being in Jerusalem was very important to me for many reasons but here is one: early one morning we got on our bus and drove to the Mount of Olives, to the very top. From there we could look over to Jerusalem, across the Kidron Valley. As the morning wore on we walked down, first to where Jesus wept over Jerusalem, and then to Gethsemane. I now have a sense of the distances that Jesus walked, especially from the Upper Room and the Last Supper to his crucifixion on Good Friday. Sister Carolyn Osiek, RSCJ, our tour guide, was right when she told us that we would never listen to scripture in the same way again. I now conclude with another picture; this one is taken at the church at Gethsemane and one of my classmates is praying at the rock which tradition tells us is the rock that Jesus prayed at during his night of agony in the garden. Today is Tuesday. You know Tuesday has no distinction as far as I can see. It’s quite bland. I mean Monday starts the work week, Wednesday is the mid-week marker. Thursday is on the lip of Friday, the vigil of the weekend. Saturday and Sunday are “breathing days” holding potential for relaxation, sacred celebration or flamboyant fun. But Tuesday, Tuesday hardly counts at all. It just hangs there like a placeholder. I’ve decided that’s not all bad. As bland as Tuesday appears, it may actually hold a secret. Having survived the avalanche of Monday, Tuesday actually provides a presence, a counterpoint, a grounding in reality, a recommitment to the ordinary without all the drama. So today join me me in being a Tuesday, just holding space and swelling with gratitude for the opportunity to be grounded in the present, committed to the ordinary. The ordinary poises us on the edge of a wonderfully nondescript landscape, where minuscule "wows" are able to punctuate our present with beauty, delight, goodness and pregnant silence. I think Tuesday is the "womb day" of the week. What a life-giving gift! 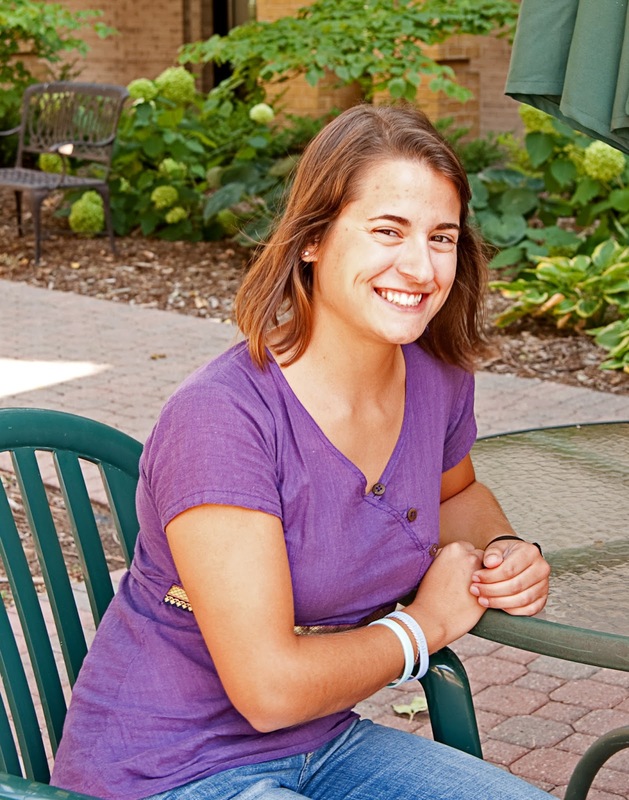 At the end of May, our BWSC volunteer, Ashley Blaine, returned to Saint Benedict’s Monastery from St. Gertrude’s Monastery in Ridgely, Maryland, where she had been serving from August 29, 2012, until May 24, 2013. The weekend from May 24 until May 29 provided Ashley with re-entry time and space before returning to her family and her future. On Sunday, May 26, Ashley showed pictures, told stories, and basically summarized her experience at St. Gertrude’s, to a group of approximately 50 Sisters at Saint Benedict’s Monastery. The Sisters had a chance to ask her questions after she had talked about the ministries and community she served in Maryland. At the end of her presentation, she shared a “Thank you” video that the Ridgely Sisters sent along with her to us at Saint.Benedict’s. Ashley gave a similar presentation to the Sisters at Saint Scholastica Convent in St. Cloud. The Sisters there were eager to hear Ashley’s adventures and experiences because many of them had been to Ridgely at one time or another. Ashley worked at the Benedictine School, sponsored by St. Gertrude’s. This school is a residential facility for approximately 90 students who have multiple disabilities. Another ministry is St. Martin’s House where young mothers with small children reside until they attain education and skills that they will use for taking care of themselves and their children. Lastly, the Ridgely Sisters run “The Barn” which is a large food pantry and source of small household items for those who need them. This outreach ministry serves the people in one of poorest counties in Maryland, Caroline County. As Ashley Blaine adjusts to no longer volunteering, Christina Desert, graduate from the College of Saint Benedict in May, 2013, is looking forward to her year of BWSC service. 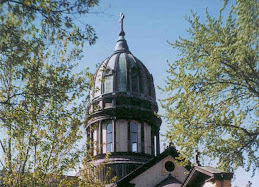 She will be arriving at Saint Benedict’s Monastery on August 15 for a 2-week orientation period prior to going to Bristow, Virginia, where she will live with Benedictine sisters and serve in their adult literacy program, known as "The Beacon", as well as other community sponsored outreach programs. BWSC is looking forward to another quality year with our newest volunteer. Christina is originally from Haiti, and now resides in Idaho with her family. 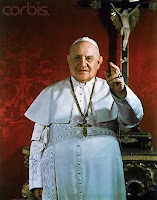 This week is the 50th anniversary of the death of Pope John XXIII, a man who came from humble origins, rose up the ranks of the Church, but never lost his humility and, throughout his life, remained open to the promptings of the Holy Spirit. Pope John was beatified in 2000 by Pope John Paul II. In this Year of Faith, celebrating the Second Vatican Council which Pope John inaugurated, his life and ministry provide a beautiful meditation on sanctity in action. Although not a Benedictine, Pope John possessed some characteristic Benedictine qualities, notably the quality of humility. Humility is at the heart of the Rule of Saint Benedict. Benedict’s humility is about authenticity: knowing who we are, and understanding that, with all our flaws, God loves us unconditionally. It’s also about realizing that, although we’re not perfect, God can still work through us in our daily lives. Realizing that God loved him unconditionally, John was able to take that one step further and see that God loves each of us in the selfsame way. He is quoted as saying: "We were all made in God's image, and thus, we are all Godly alike." We share a common humanity and are loved infinitely by God in that humanity. Blessed Pope John XXIII, was a man who lived authentically and compassionately, rooted in faith and never forgetting his humanity. He saw his most sacred duty as being the shepherd to all people of good will. He loved. That meant he didn’t just utter words about loving, he loved people practically in his everyday dealings with them, visiting the sick, the imprisoned and the marginalized. In other words, he lived the Gospel. Whatever he achieved flowed from his capacity to love and to allow God to work through him. Let’s pray for the humility to love as Pope John loved.